Has anyone heard of any recent news regarding removing the "denied medical clause" from the SP RULING? the new rule is recently published. i don't think that there was even a discussion about removing the denied medical clause. i don't think it is likely in the future. there are nice motor gliders now that overlap the slsa in terms of performance and usefulness. I have not seen, nor heard, anything about changing that reg. You will still need a medical issued if your last one was denied. Then let it lapse. Not knowing your situation... have you tried for a Special Issuance? I have not heard anything on this either. FYI. I was denied for a third class medical due to leukemia. I also have had both hips replaced and cataract surgery in both eyes. Add in a dash of kidney failure and AVN in my shoulders(degenerative joint disease). I told the FAA about all of these conditions and was initially denied. It took a lot of work, but I managed to get a special issuance. Since then I have done a lot of research and come to find out that the FAA has greatly relaxed their criteria for being denied. I have heard of people with artificial heart valves, high blood pressure and even a guy with one eye get a special issuance. The FAA will require you to get a doctor to give a written status report on each deniable medical condition. Once you do that, your good to go. Most Pilots make it sound like once you are denied your flying is over. This is not true. I don't think they are misinformed, just uninformed. Go Get Your Medical Back!!!!!!!!!!!!! The only place that the FAA hasn't relaxed *much* in is in the psychological areas... depending on what you have, regardless of how mild it is, you're pretty well SOL unless you want to go through the massively expensive cognitive screenings that (according to my personal doctors) are not conclusive, and (according to my insurance) aren't covered. Basically I was set up to pay close to 5k for what leftseat.org estimated to be a 15% chance of getting an SI, involving me potentially having to retain a lawyer to get even that percentage. 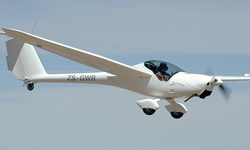 AOPA simply told me 'not possible'. I'd call up AOPA, run through what you've got, and then call the leftseat guys, and look at the chart on their website showing who is able to fly with what, and that should give you a good idea of what is actually possible. They will also give a 'free consulting call' to just kinda give you an idea if they can help. I value AOPA's Medical Servoces coverage I'm subscribed to, but from personal experience I can verify that those MS folks don't have ALL the right answers and should only be considered one reputable info source, not THE source. I personally have found that the best single source for a full understanding of a specific medical issue for a specific pilot is an experienced AME who has a working relationship with an FAA Doc who does medical certifications. And one can obtain that kind of info via a consult with one's AME and before the actual exam.